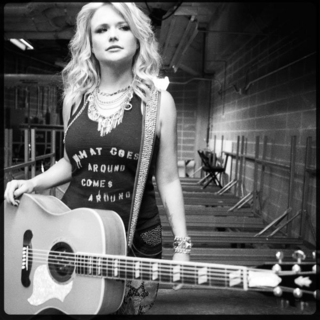 Miranda Lambert won Female Vocalist of the Year for the eighth year in a row. That's not only the longest consecutive winning streak in this category, it's the most wins in the category, period. It breaks Reba McEntire's record of seven total wins in the category. Thomas Rhett won Song of the Year for "Die a Happy Man," one year after his hit recording of the song won Single Record of the Year. (Go figure.) It's the first time in ACM history that a musical work has won Song and Single Record of the Year in different years. Rhett also took Male Vocalist of the Year. Jason Aldean won Entertainer of the Year for the second year in a row. He's the first artist to win two years running since Taylor Swift in 2010-11. He's the first male artist to win two years in a row since Kenny Chesney won four straight from 2004-2007. Lori McKenna's "Humble and Kind," which won the CMA Award and the Grammy Award as the year's best country song, came up short at the ACMs. But McKenna became the first female songwriter to win Songwriter of the Year, an award that was revived in 2011. The all-star "Forever Country," which was created to promote the CMA Awards' 50th anniversary, received an ACM award for Video of the Year. This suggests that the rivalry between the two shows is indeed friendly, as Pete Fisher, the ACM's CEO, insisted in a recent HITS Q&A. Florida Georgia Line won Single of the Year for their smash "H.O.L.Y." They're the third duo (not counting collaborations) to take that award, following Brooks & Dunn for "Boot Scootin' Boogie" and Sugarland for "Stay." Florida Georgia also took Vocal Event of the Year for "May We All" (featuring Tim McGraw), which beat "Forever Country." Florida Georgia Line wasn't part of "Forever Country," though McGraw was. Brothers Osborne broke Florida Georgia Line's three-year hold on the Vocal Duo of the Year award. Brothers Osborne is the second duo consisting of blood relatives to win in this category. The first was The Judds. The mother/daughter duo won seven years in a row from 1984 through 1990. Little Big Town won its fourth award for Vocal Group of the Year. That's the most wins in this category since Rascal Flatts won seven straight, from 2002 through 2008. Keith Urban, who led all artists with seven nominations, went home empty-handed, despite a very strong year. He has yet to win Entertainer of the Year at the ACMs (despite seven noms in the category). He has won Male Vocalist of the Year twice and Album of the Year once.